The Doctors In Training (DIT) commission hosted its second speaker of the year, internist, Dr. Faraj Samra. 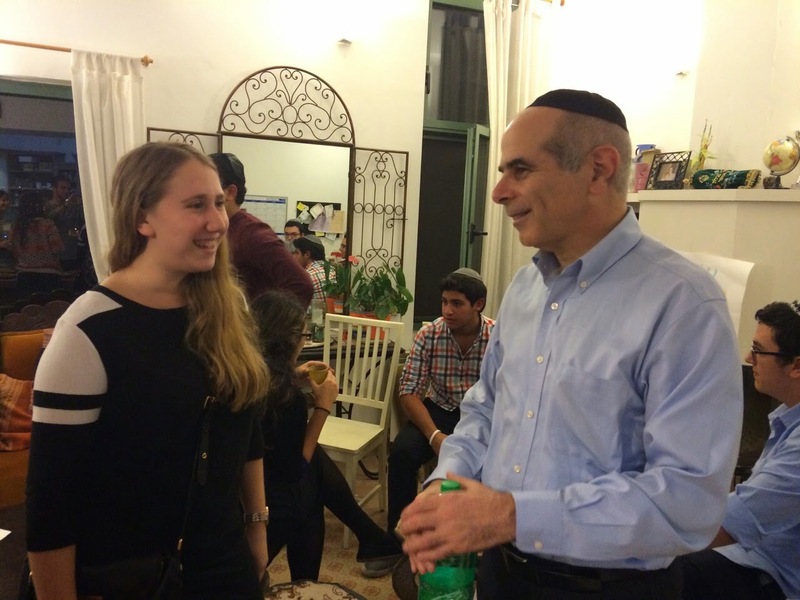 Dr. Samra visited the Yeshivah of Flatbush on December 12th, 2014. He gave a very meaningful speech about his journey to becoming a doctor, from Yeshivah of Flatbush to Yeshiva University, to Downstate Medical School and Beth Israel Residency to what it is like to practice internal medicine in NYC. He spoke about the educational options to become a doctor, and the intensity of the field of study. Dr. Samra also gave the students great advice to continue working hard to become a doctor. 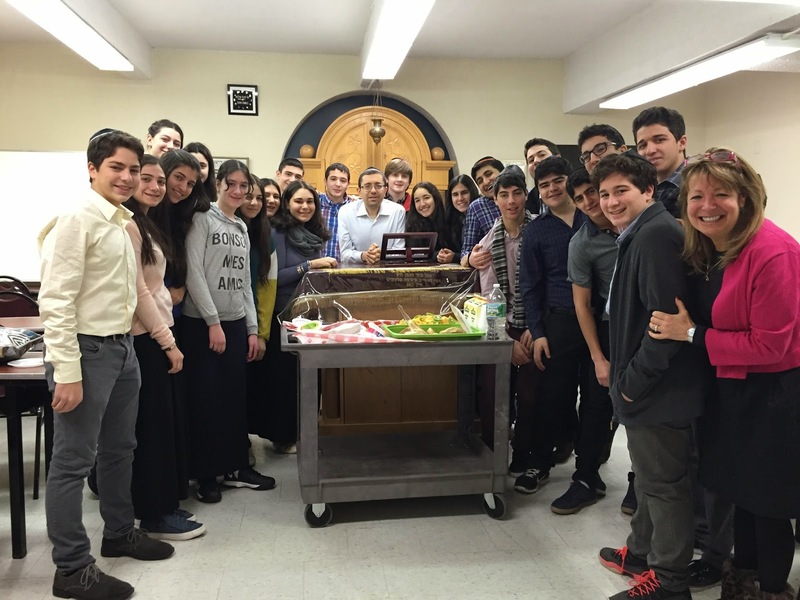 We are grateful to Dr. Samra for his time and effort to inspire Yeshivah of Flatbush High School students. Thanks to Itzik Cohen, DIT commissioner for organizing the event. 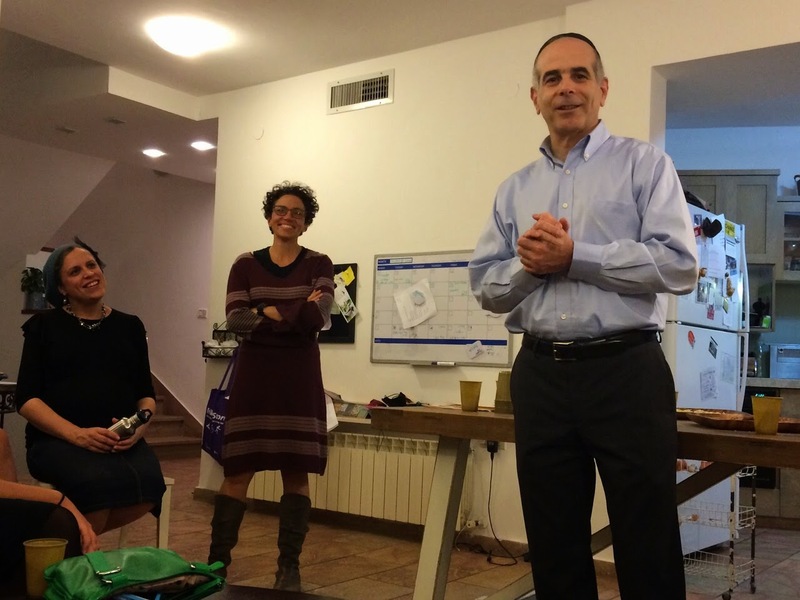 Last week was an amazing and busy week for the Tzedakah Commission. On Wednesday, the Tzedakah Commission ran their annual Goods and Services Auction to raise money for the Yeshivah of Flatbush Chesed Mission to Israel led by Rabbi Bessser this upcoming January, where the students go on a trip to Israel to do all sorts of chesed. The auction was a big hit and helped raised a lot of money for the Chesed Mission. After continuously selling tickets for a little more than an hour to waves of students eager to get involved, the first thing said by the students selling the tickets was, “that was so intense”. A student buying the tickets said, “Wow, this is amazing! I hope I win something!” From free drum lessons, to free tutoring from teachers, to home cooked goods, the choices seemed unlimited. 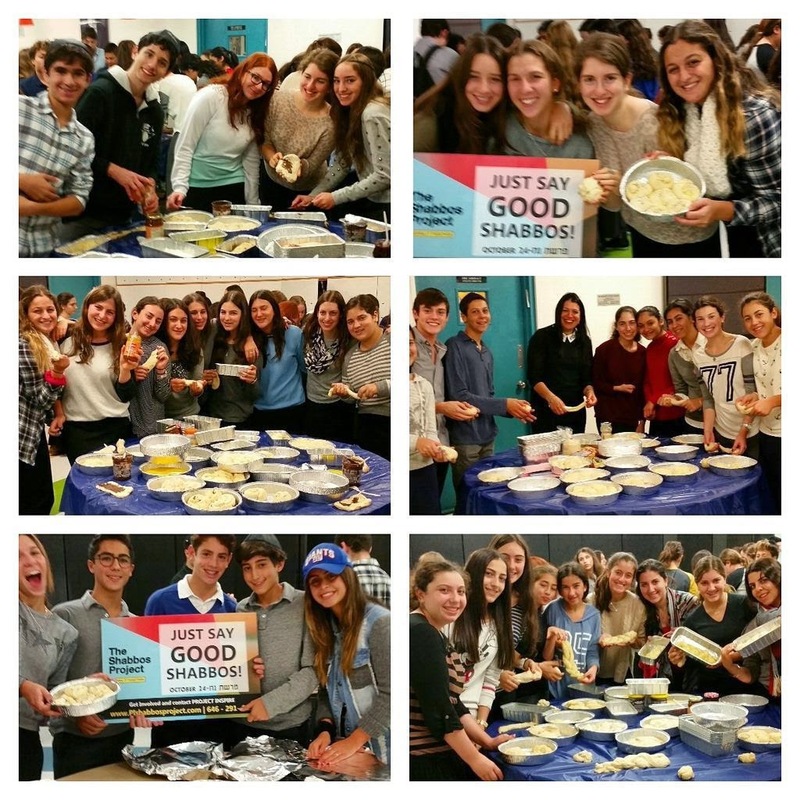 The enthusiasm of the students to do chesed and give tzedakah was definitely pouring through during this event. 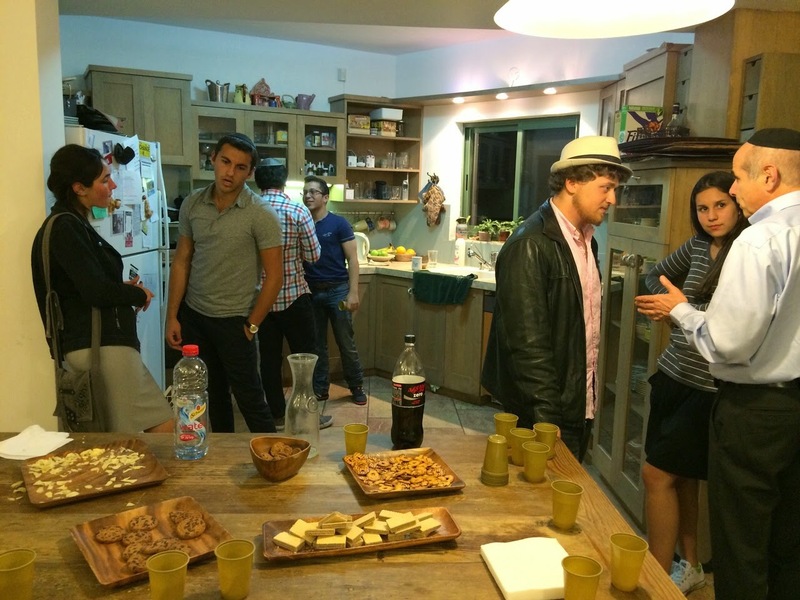 The auction was a huge success and a fun way to raise money for the Chesed Mission. We would like to thank the administration, the Tzedakah Commission, Señora Ovadia, and most of all the students who took part in this unbelievable auction making it a huge success. It would not have been done without you! But wait! 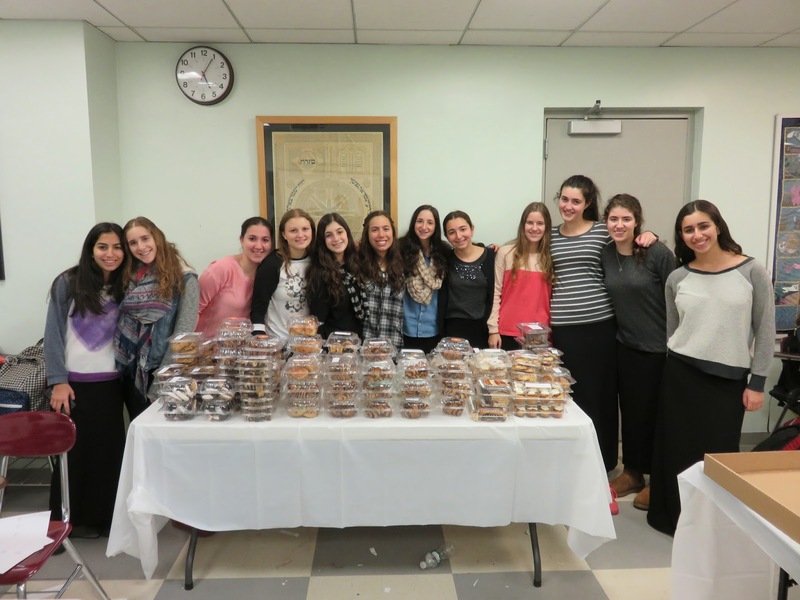 The Tzedakah Commission didn’t stop there with raising money for the Chesed Mission. The Chesed race has just begun! 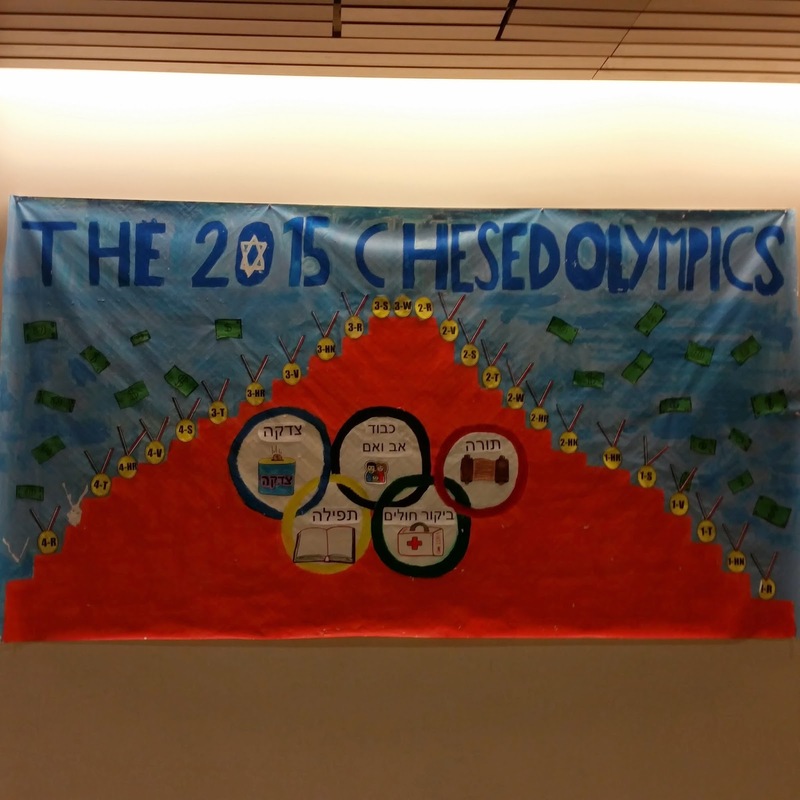 From now until finals, each class will be competing to raise the most money to donate to the Chesed Mission. The classes that raise the most will win a reward!!! The race has just begun- so to all the classes- continue bringing in money!!!! Don’t forget the winning class wins a reward! Last year, the school raised an enormous amount of money and this year, we are planning on topping it! This coming Sunday December 21, 2014, there will be a Bake Sale and Chinese Auction from 10am - 6pm at the home of Ziv and Iris Bukobza. Rabbi Besser will be speaking at 3:00 p.m. so don’t be late! All of the proceeds will go towards Rabbi Besser’s Chesed Mission. Bakers are needed! If you would like to bake, please contact Danielle: 917-734-5343 or Stephanie: 347-587-9102. Hold on! Lets not forget the amazing bake sale for Cookies for a Cure!!! Cookies for a Cure is an organization to raise money for kids cancer research. 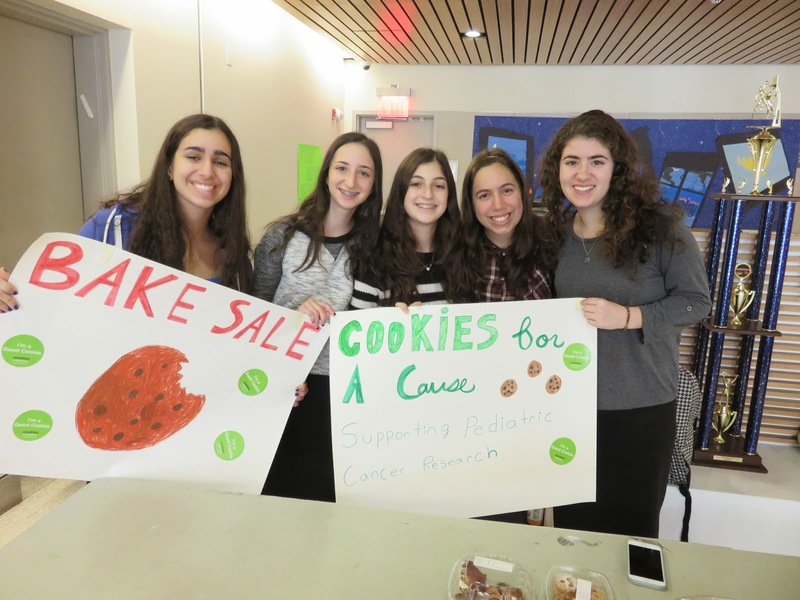 On Friday, the day of Junior Seminar, Mrs. Sally Franco and daughter Stephanie Franco, and the rest of the high school committee partnered up with Magen David Yeshivah High School and had a bake sale in the lobby throughout the school day selling cookies. 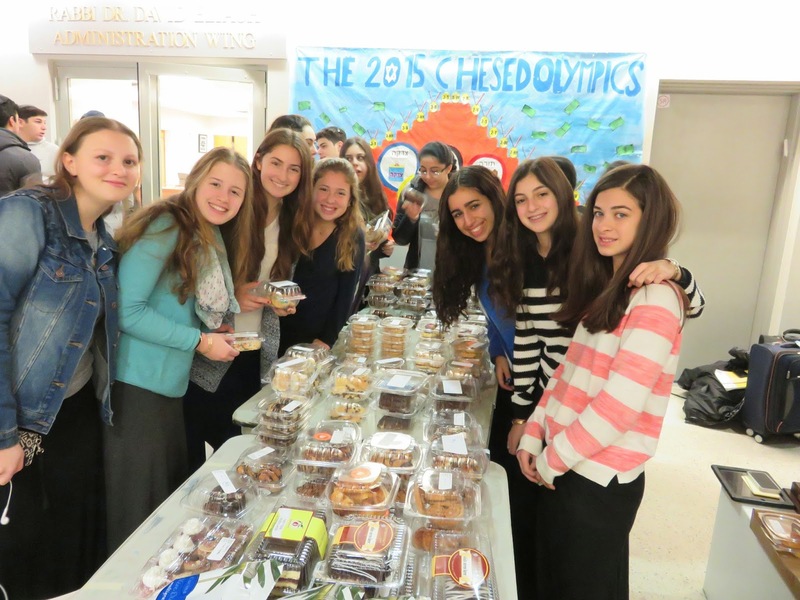 Bakeries such as, Ostrovitsky, Baked By Melissa, BJ’s, and Chantilly all appeared at the bake sale. By participating in this bake sale, you were getting a delicious snack and donating money to charity; a two for one deal! It was happily said that EVERYTHING was sold and all the money went to research for kids' cancer research. The kitchen brand, OXO, has agreed to match the donation dollar for dollar! Students walked by and said, “This is amazing and delicious! They should do this every week!” We want to give a huge thank you to the entire high school committee of Cookies for a Cure for all their hard work and delicious treats. The bake sale was an absolute success! 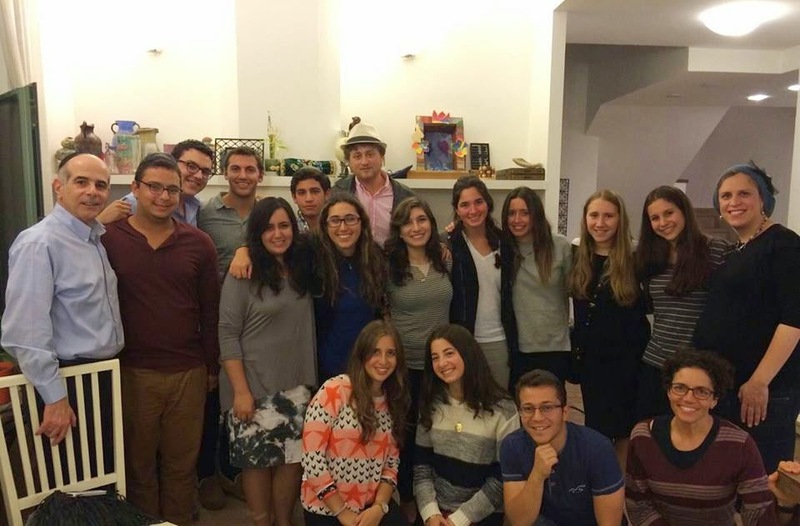 The Tzedakah Commission has many more plans and activities for this year! Don’t forget to always check when something new is coming up! On Wednesday, December 3rd, Yeshivah of Flatbush hosted a chess meet against HANC. Many intense matches ensued after a pizza lunch. Racing against the clock and obfuscating mind games were prevalent in the Study Hall. Flatbush tied HANC, both with 7 wins. We plan to learn from this meet and better ourselves for the next one. The team would like to thank Rabbi Taler for coaching our team.. And we'd like to thank Mr. Cohen for his fervid leadership. I'd like to congratulate all the players for giving it their all and may we win the next one. On Wednesday, December 3rd 6 members of the Yeshivah Flatbush Math Team competed in the first math bowl of the year at Heschel. We joined many schools there, including: Heschel, TABC, JEC, Ma'ayanot, SAR, Ramaz, Westchester, MTA, Central, and Solomon Shechter. The Flatbush team won 1/4 rounds and came out with 63 points. It was an amazing experience and so much fun to compete in the first math bowl competition. Yeshivah of Flatbush Students at AIPAC in Washington D.C. It occurred to me, right before boarding the coach bus heading to Washington D.C., how little I knew about Israel and United States relations and our foreign affairs. I knew I was chosen to spend the next few hours in our nation’s Capital as a High School student representing the American Israel Public Affairs Committee (AIPAC), one of the largest organizations which lobby for Israel. I also knew I would be lobbying Congresswoman Yvette D. Clarke. But, why was I chosen? 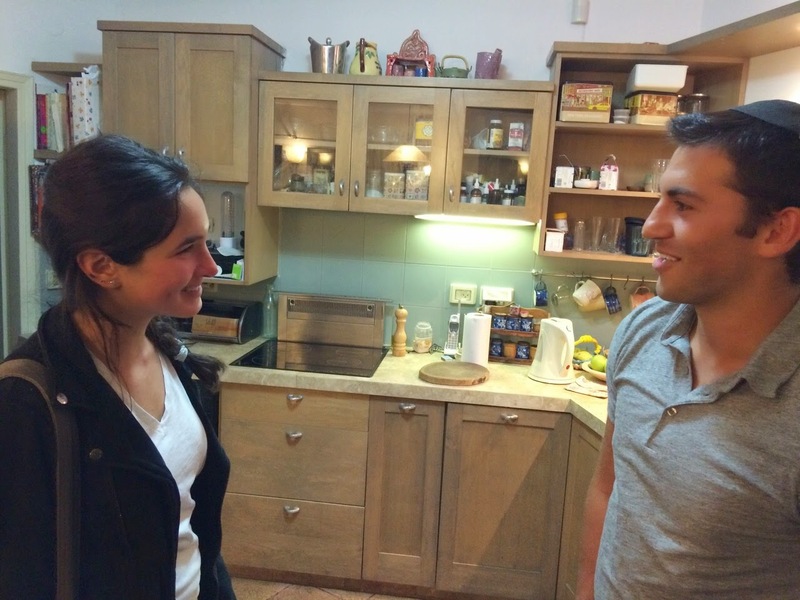 When the committee decided that I can go a few weeks ago, I spent the next couple of weeks preparing everything, from reading different newspapers for up-to-date news from Israel and researching background information about the U.S.-Israel relationship. Finally, December 2nd came, the morning I was leaving for Washington D.C. After a five hour bus ride, I finally arrived in Washington D.C., ready and nervous for the next few hours. 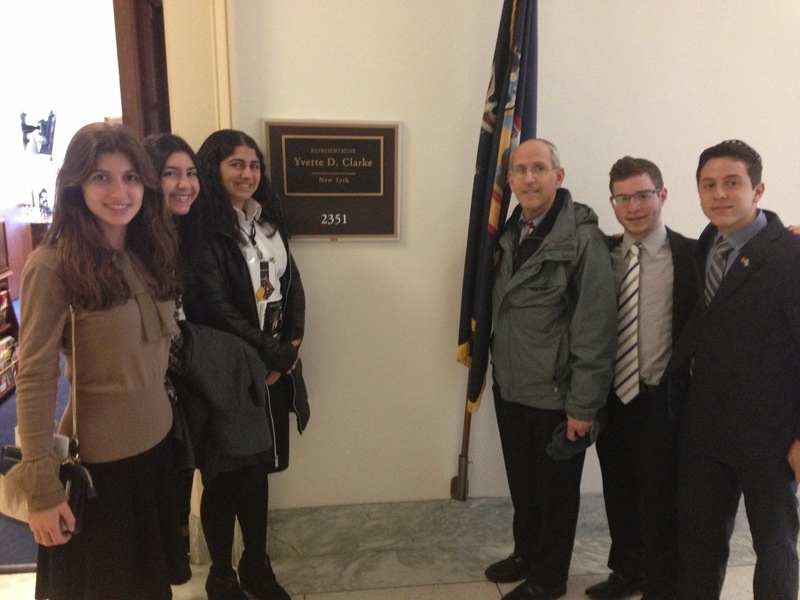 On that day all 46 other students from Yeshivah of Flatbush who attended this trip walked to AIPAC headquarters, where they explained, in detail, about their organization and how they help the Israel-U.S. Relationship. AIPAC is pro-Israel lobbying group that helps to strengthen, protect, and promote the US-Israel relationship. Never in a million years did I think I would get the opportunity to be involved with such an amazing group and gain such an incredible eye opening experience. We then went the United States Holocaust Memorial Museum. This was a great way to alter our mood into a more serious one before we went to lobby. We then went to our last stop, Capitol Hill, as a united group. We broke up into smaller groups and met with a staffer from our districts congressional offices. Just sitting in that office, being in one of the most important buildings in the world, and using all of the knowledge I had learned to lobby, was such an amazing feeling. After the hour long meeting discussing our hopes for continued US-Israeli partnership with Representative Clarke, I felt so accomplished and proud of what I had learned in such a short time. I never would have guessed that I would go to Washington D.C. and lobby a congresswoman. I think it is one of the most amazing and awarding experiences someone can do. I left D.C. later that day feeling like I had done something important in my life–like I had made difference in the “real world.” I hope that later in life, whether I am lobbying or doing something else with purpose, I can feel just as inspired as I felt when I left Washington that day. Thank you to the Israel Activism and Mr. Rothbort for making this amazing opportunity possible. 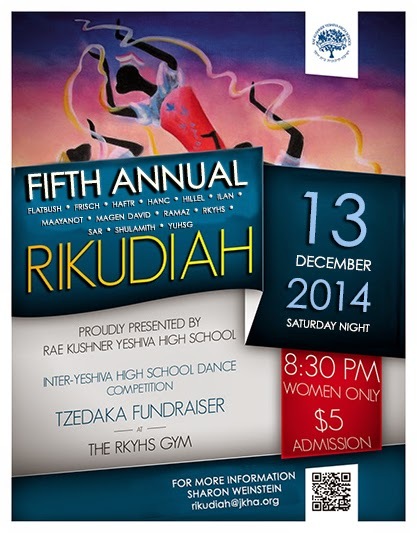 The competition is set for this Motzei Shabbat, Saturday night, December 13, 2014 in the main gym at Rae Kushner Yeshiva High School in Livingston, NJ starting at 8:30 pm where the Yeshivah of Flatbush Girls Dance Team will compete in the Rikudiah. 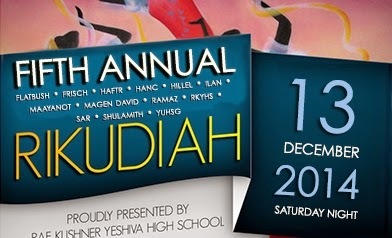 The Fifth Annual “Rikudiah” Inter-Yeshiva High School Dance Competition, will be hosted by Kushner Yeshiva. Flatbush’s Dance Team will take on teams from Frisch, HAFTR, HANC, Hillel, Ilan, Ma’ayanot, Magen David Yeshiva, Ramaz, Kushner, SAR, Shulamith and Central (Yeshiva University’s High School for Girls). Featuring the kind of high-energy, technically advanced dance moves visible at half-time at most college and professional basketball games, the Falcon Dance Team will be looking to improve on last year’s 3rd place finish. The 14-member squad has a number of new faces on this year’s roster, and the team has been training hard in preparation for the competition. With leadership from Co-Captains Claudia Elkharaat and Helen Menashe, the team has been meeting in the Student Lounge for training every Thursday afternoon in order set the choreography in place and to get their timing just right. Sessions increased to twice a week as the competition date neared. In addition to Co-Captains Elkharaat and Menashe, the Dance Team roster consists of Louise Anteby, Esther Cohen, Cynthia Cohen, Margo Dayan, Ruthie Gindi, Shelly Jemal, Caroline Levy, Rose Mishaan, Mimi Oved, Susan Regev, Barbara Schwartzbard and Frieda Zietoonie. The event is open to female spectators only, so Flatbush girls, note the date and come cheer on your Falcon Dancers to victory! Last month, students of the senior grade experienced their Senior Seminar. They started the day with a parent-student breakfast followed with sessions to help students communicate with parents about the challenges that come in the last year of high school and beyond. Thursday afternoon we heard from a speaker, Ikey Chehabar, on how he overcame and is still overcoming his challenge. Overcoming challenges was the theme of our seminar. On Friday morning we traveled to Somerset, New Jersey to spend the weekend and Shabbat with teachers and to learn how to overcome challenges. Whether it was the sessions, which involved religious obstacles, the skits, which played out the idea of good and bad, or the tish, where each student spoke about a challenge they overcame, every corner of seminar was engraved with this idea. With this in mind, senior seminar was a success: as a grade, we overcame our obstacle of separateness, and became one entity, one grade, one group of friends. In one word, senior seminar represented "unity." To be honest, our grade has many set cliques. For the most part, each cliques have minded its own businesses and stood its ground. But for the first time, we came together as one. It didn't matter which group of friends you were from because when it came to the dancing, the singing, the tish, and its storytelling, and every other aspect of seminar, we all just came together. We as a grade, for the first time overcame a challenge together. We united and enjoyed Senior Seminar to the max. We are so grateful for the teachers, administrators, principals, advisors and students who worked so hard to make the weekend such a success. A special thank you goes out to Rabbi Besser, who once again, did a wonderful job and really inspired the students. Yeshivah of Flatbush's JV Debate Team was awarded "1st Place School" trophy for winning the most matches in the Novice Debate Tournament hosted by Ezra Academy on Tuesday, December 2, 2014, on the topic "college athletes should be paid salaries." For many of our debaters, this was their first ever formal debate experience. The teams of Raquel Cohen & Ben Wade and Claire Lessler & Sarah Tessone each won both rounds of debate matches in the competition. Deborah Coopersmith & Eli Feldman bested their opponents in one round, while Marvin Azrak & Isaac Levi, Jane Zakay and Ricky Levy also performed at a very high level in the debate and extemporaneous speaking competitions, respectively. We look forward to future success from the entire team in all their endeavors. November is always the most exciting month for the members of the Yeshivah of Flatbush AP US Government and Politics course and their teacher, Ms. Shelley Kaplowitz. On Election Day, the class was invited to a power breakfast with the elite of NYS politics. This annual event is made possible through the kindness of Steve Cohn, father of Flatbush graduate, Warren. While there, the students were able to talk to, network with, and learn from several Representatives from the US Congress, state and city judges, borough presidents, members of the city Council and the NYS Legislature, and political advisors galore. A few days later, it was the culmination of a 2 month 'mock election', where the members of the class become the candidates (Cuomo and Astorino), create media campaigns, do polls, register voters, and finally engage in a debate (as the candidates themselves) in front of the entire school. This was followed by a day of voting at Flatbush. This day--in fact the entire campaign--was a rousing success. Both of these events provide the students with invaluable hands-on experience in the world of politics and public policy, and also provide an opportunity for them to teach the rest of the school about the important issues of the day. Kudos to the students in the AP Government and Politics class for all their hard work and the great way it paid off!! 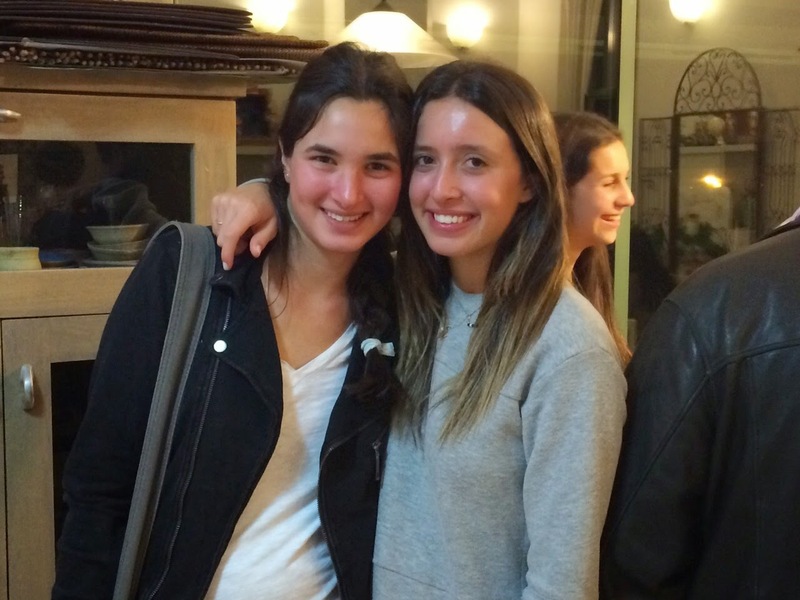 Two teams of students representing Yeshivah of Flatbush recently won high honors this year's WordWright Challenge, a national completion for high school students requiring close reading and analysis of many different kinds of prose and poetry. Participating with 600 school teams from all across the country, the school's eleventh graders placed first in the nation in this year's first meet, held in October. The school's twelfth graders finished first in the nation as well. Students Attend AIPAC's High School Summit in Washington D.C.
Five Yeshivah of Flatbush High School students joined over 400 high school students from 186 public and private academic institutions across the country to attend AIPAC’s annual Schusterman Advocacy Institute High School Summit in Washington, D.C., November 16-18. 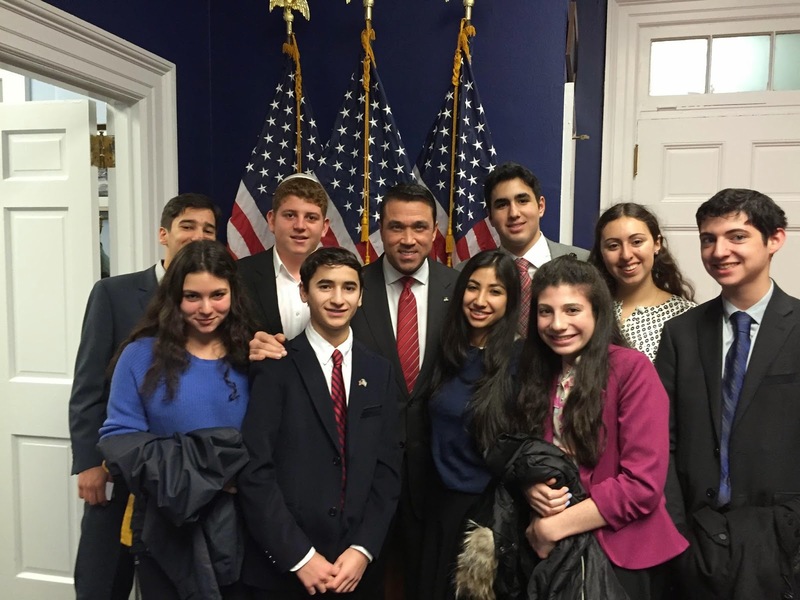 While in the nation’s capital, students received intensive training in pro-Israel political advocacy and participate in 53 individual congressional appointments focusing on the value of the U.S.-Israel alliance. Schusterman Advocacy Institute High School Summit, the cornerstone of AIPAC’s Early Engagement program, is an empowerment vehicle for teens interested in supporting Israel through direct involvement in the American political process. The goal of the Summit was to provide student activists with the tools they need to be effective activists within the political arena. Participants were exposed to proven methods of articulating their commitment to Israel; the importance of engaging members of Congress and candidates for Congress; and how to effectively make the case for the U.S.-Israel relationship. 67 partner delegations—including 5 youth movements, 34 Jewish day schools, 9 synagogue youth groups and 11 student leadership and advocacy programs— participated in this year’s Summit. 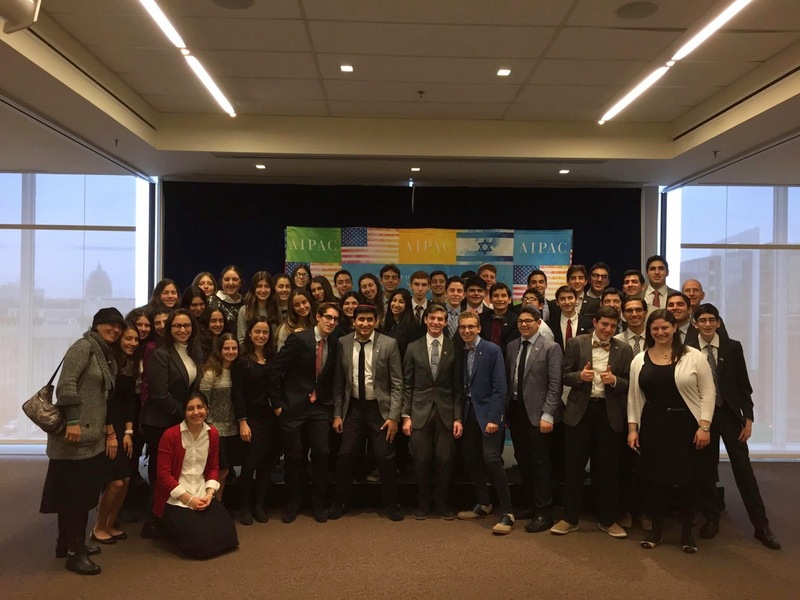 Also in attendance were 43 outstanding AIPAC campus activists representing colleges and universities across the country including: University of Pennsylvania, Tulane University, Princeton University, DePaul University and University of California—Berkeley. These Peer Facilitators assisted AIPAC professionals in leading introductory breakout sessions in addition to attending high-level sessions of their own. On Monday night, the Peer Facilitators hosted the AIPAC College Fair, which included booths for college application consulting and even career advice in addition to the dozens of campuses represented. Summit session titles include: Why We Commit: Telling our Stories; The Case for the U.S.-Israel relationship; Challenges Confronting Israel Now; Middle East in Turmoil. Most of the breakout sessions were led by Leadership Development Professionals with several special outside speakers—including Director of the Jerusalem Center for Communication and Advocacy Training David Olesker and Senior Fellow for Counter-terrorism of the American Foreign Policy Council Avi Jorisch making appearances throughout the conference. The Summit culminated in a series of group lobbying sessions on Capitol Hill Tuesday morning. This year, hundreds of high school students and their advisors lobbied 53 members of Congress from 20 states. Before they departed for the Hill, Summit participants were briefed on AIPAC’s legislative agenda and practiced with lobbying role-plays designed by AIPAC’s incomparable Policy and Government Affairs team. 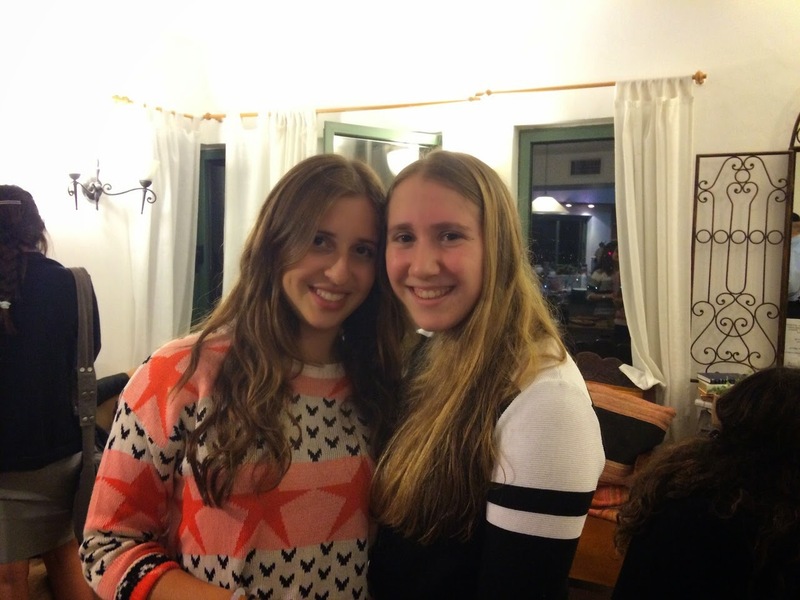 Students met in the student lounge on Thursday night for the first Girls Torah Learning of the semester coordinated by Mrs. Hanau. 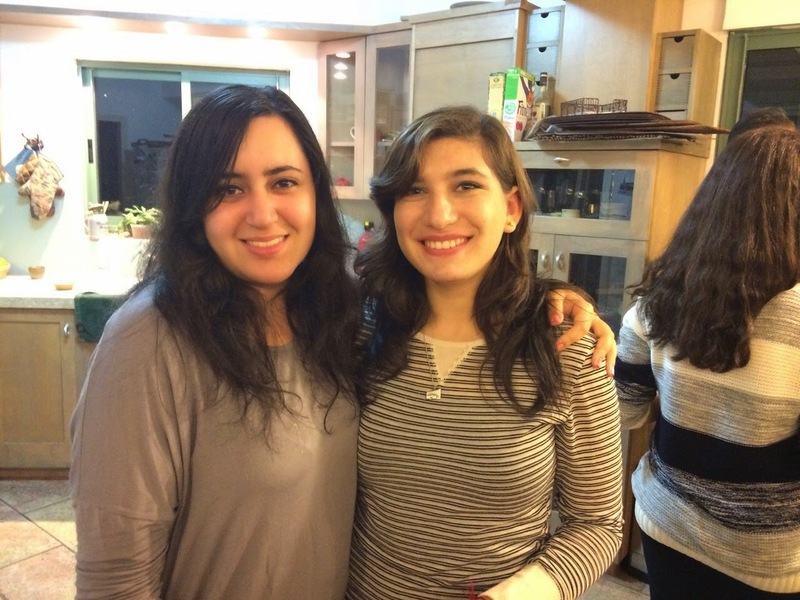 Rosette Harary (HS '12) gave a shiur about women's role in the Jewish home while students munched on sushi and snacks. The students enjoyed learning with Rosette and getting to have a great discussion with peers from all grades. We look forward to the next GTL in December! On November 4th the Yeshivah of Flatbush High School’s DIT commission (Doctors in Training) were fortunate to host the famous Rabbi Dr. Henry Hasson, renowned pediatric neurologist and Flatbush alum. Dr. Hasson was the first speaker hosted by the commission. He spoke to students first about the process of becoming a doctor; the time commitment, different schooling options and his personal journey to being the successful doctor he is. Hearing about Dr. Hasson’s experience first hand was a treat for any student interested in learning the process of career choice and finding happiness and meaning one’s life profession. 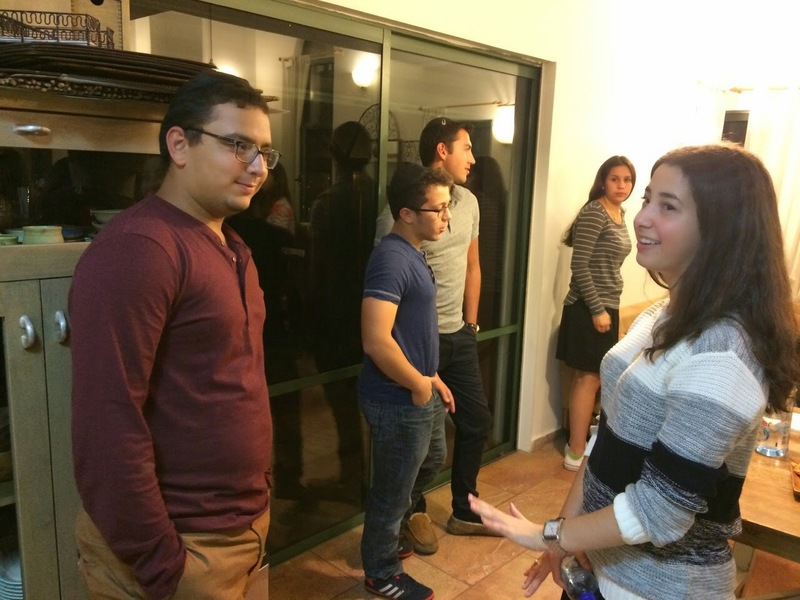 Students had many questions for the doctor regarding his medical training as well as his weekly parsha articles. Dr. Hasson is a paradigm of what it means to live in the pursuit of knowledge to heal the world physically as well as spiritually. Chazak U'baruch to Itzik Cohen, head commissioner for his work in organizing the event. Stay tuned for more speakers and events from the DIT commission. Against a quality opponent, the Varsity Boys Basketball team brought the energy and focus it was lacking the last time out, and played one of its top competitors even for most of the night. But, a late offensive power outage gave the guest DRS Wildcats the breathing room they needed, and the Falcons could not recover, dropping their second consecutive home game by a score of 46-36. DRS scored off the opening tip on a practiced play, and a short time in were enjoying a 5-0 lead. It looked like the Falcons scoring woes from the previous game would continue, but Senior Forward Allan Maleh provided some scoring punch, knocking down two big baskets, and by the end of the 1st Quarter, the score stood even at 7-7. It looked to be an even match, and though the Falcons could not get a hold on the lead, they were never far back, keeping pace with the Wildcats. DRS would pull ahead; the Falcons would claw back. DRS looked to establish inside dominance, but they were battled underneath by Flatbush big men Mayer Kamkhatchi and David Dayan. 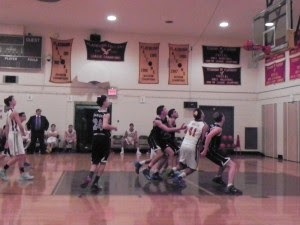 And, Flatbush’s trademark pressure defense caused its usual quota of turnovers and drew a plethora of fouls on DRS. The score reflected the balance of play, and the teams went into the intermission with DRS holding on to a slim 21-18 lead. The Flatbush Boys Varsity Basketball team did not need to make one basket to record its first win when they were handed a victory in the Regular Season opener by virtue of a Rambam Ravens forfeit last night (10/28). Unfortunately for the Falcons, that approach did not work so well in game number two. The offense was never able to get on track, and Flatbush fell 37-20 to the Ramaz Rams in the home opener at the Falcon’s Nest. 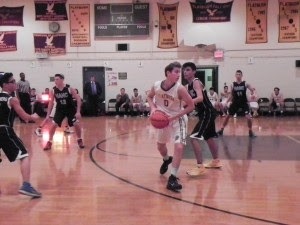 It looked to be a real old-fashioned defensive battle, as both teams played a low-scoring, but fairly even first quarter, with Flatbush holding the slimmest of margins, 5-4. And, the defenses were strong for both teams throughout. But, it was clear from the outset that the Falcons were having trouble getting shots to fall, and it never really got much better as the game went on. Though the Falcons brought their trademark pressure defense, and were generally effective with it as they turned the Rams over 14 times (committing only 3 turnovers of their own the entire game), the Falcons could not muster more than 6 points in any quarter - and it was not all due to the defense of the Rams. The offensive sets led to a number of good open looks for the Falcons. The shots were there, they just would not drop – for anyone in a home white jersey. Afterwards, the Falcons head coach reflected on the evening. “If you had told me we would hold Ramaz to 37 points on the night, I would have felt assured of a double-digit Flatbush victory,” opined Coach Borenstein. The reality was the opposite, as the Rams went home with the double-digit win. “We rebounded very well, and we executed our offense, creating good scoring opportunities. It was just one of those nights where nothing would go down.” In fact, there was one stretch where the Falcons corralled 6 straight offensive rebounds, and came away empty. Falcons fans can only hope that this offensive clunker is now out of their system, and that the next time out the boys from Flatbush will once again be firing on all cylinders. Rebounding was a clear strength for the Falcons, as they won the battle of the boards by a +12 margin; the Falcons were led by Mayer Kamkhatchi’s 11 rebounds. 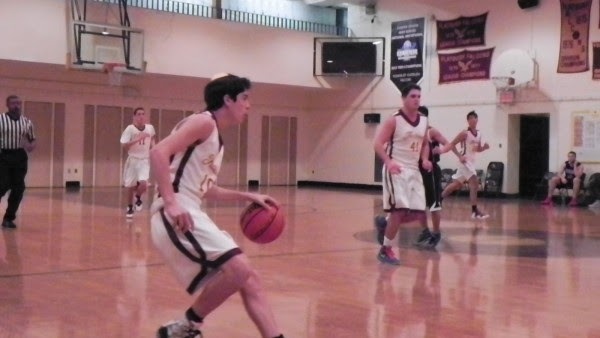 Bobby Soffer led all Flatbush scorers with 6 points on the night. The Flatbush Boys JV & Varsity Hockey teams took the show on the road for the first time this season, and the offense was on display for all the League to see as they downed the host squads from North Shore by scores of 7-1 and 6-1 respectively in Great Neck, NY. First up were the JV Falcons, making their 2014-15 season debut. It marked Sophomore Sam Laniado’s first appearance in a JV game (having played his rookie season last year sharing time on the top two Varsity Falcon lines), and he drew the lion’s share of defensive attention from the North Shore Stars. 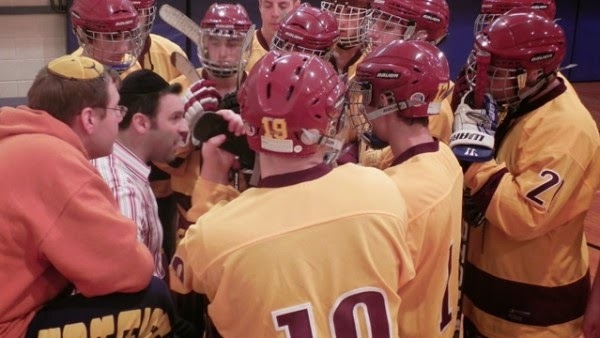 That focus allowed Flatbush to spread out the offense, allowing fellow Sophomore Nathan Mosseri to tally a pair of goals in the game (the only Falcon scorer to put more than one goal past the Stars netminder), his first regular season appearance on Flatbush maroon and gold. Complimenting Laniado’s offensive stick work was Sophomore Natanel Nemet; both Laniado and Nemet recorded a pair of assists each on the night. Defensively, Sophomore Aaron Kubie was stellar in goal, leting only one errant North Shore shot get past. It was a great start to what looks to be a very promising season for the Flatbush JV Hockey team. 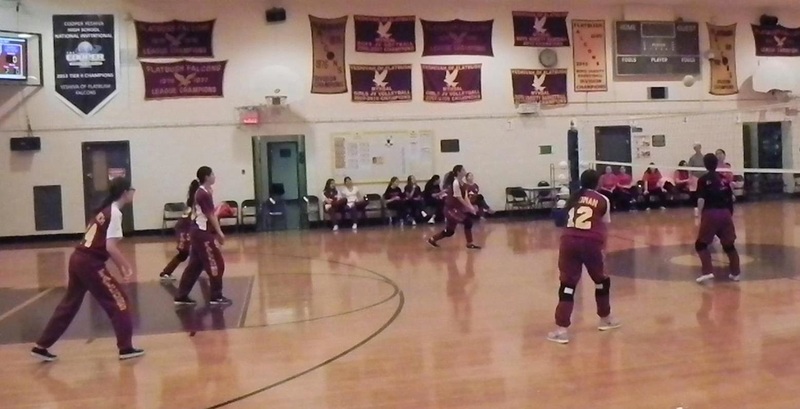 The Flatbush Varsity Girls Volleyball team welcomed neighboring Shulamith School for Girls for a friendly match in the Falcon’s Nest on Wednesday (10/29) night. The pre-season game will serve as a tune up in advance of the regular season, which will get underway for both the Varsity and JV Volleyball teams this week. The Shulamith Dynamites compete in the MYHSAL “B” Division, and are regulars in their divisional playoffs, being coached by Irene Eisdorfer, who competed in the Olympics as a member of the Russian National Team before immigrating to the United States. 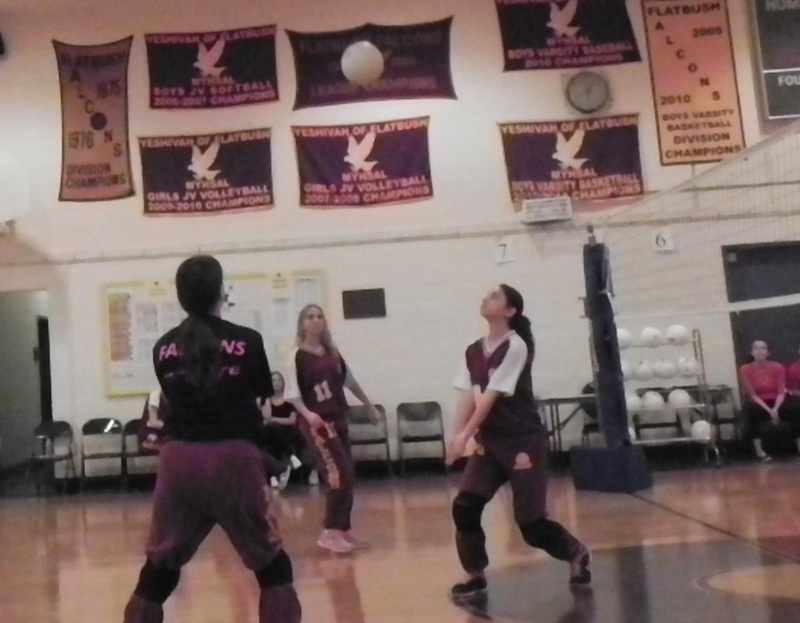 The Dynamites took the match in straight sets, but the Flatbush girls were very positive after the end of the match. Senior Co-Captain Rebecca Zami was particularly positive. “This was very exciting! It was important for us to get this opportunity to play before the game start to count. Especially with so many newcomers on the team, we now know what we need to do. That’s really important with our playing SAR so soon, a team that is always tough.” Sara Marcus agreed. “This was really great for us,” she said. Coach Shterenzer was more reserved. While glad to have the opportunity to play, she too now knows exactly where this team needs to improve in advance of the regular season. The regular season gets underway for the Flatbush Falcons Girls Volleyball teams this week as the team travels to the Five Towns on Long Island to take on powerful HAFTR on Wednesday night, 11/5 at 7:15 pm. The Varsity and JV open the home schedule on Sunday, 11/9 in a doubleheader against SKA. The JV game is set for a 1:30 pm start, with the Varsity game immediately to follow. ¡Hola mis amigos! This past Thursday, our outstanding Spanish Department organized a fiesta, a Spanish party to celebrate Spanish Heritage Day. The Spanish faculty, Señora Birman, Señora Ovadia, and Señora Shterenzer, coordinated this wonderful program along with the students enrolled in Yeshivah of Flatbush’s Spanish 3 and AP Spanish courses. Spanish Day was established to celebrate Spanish Heritage Month. Throughout the entire day, students were invited to come down to the Student Lounge during their Spanish classes to enjoy the fiesta! Students in Spanish 3 and AP Spanish encouraged the student body to participate in fiesta games, including Simón Dice, Simon Says, where students became more familiar with different vocabulary words in Spanish. Students also danced to Spanish music. It took nearly three periods before things finally began to click for the 2014-15 edition of the Flatbush Falcons Boys Varsity Hockey team. But, by then the hole was too great, and the Falcons dropped the season opener, 4-1, to the Ramaz Rams in their home, the Falcon’s Nest in Brooklyn, NY. The boys looked opened the game battling the Rams, but little by little the Rams offense appeared to carry the play, and it was only a matter of time before they broke through and put the puck past Senior Goaltender Elliot Zakay. Zakay came up with a nifty save or two, before being beaten by the relentless Rams frontcourt pressure. Another goal late in the period gave Ramaz a 2-0 cushion at the first break. Period two was more of the same, where the Falcons struggled to gain the offensive zone, and it was not long before the Rams tallied another goal for a 3-0 lead. The start of the final period saw Moshe Illouz step into the pipes for his first career varsity action. When the Rams beat him as well, it was as if the falcons finally got the wake-up call they were waiting for. Things s clicked, and with less than 5 minutes to play, Jack Sasson made a textbook pass freeing up Ben Vilinsky in front of the net who sent the puck home for the first Falcon goal of the season. It was not the opener the coaches or the team was looking for, but with a lot of season left to play, the closing minutes provided a positive effort on which to build going forward. 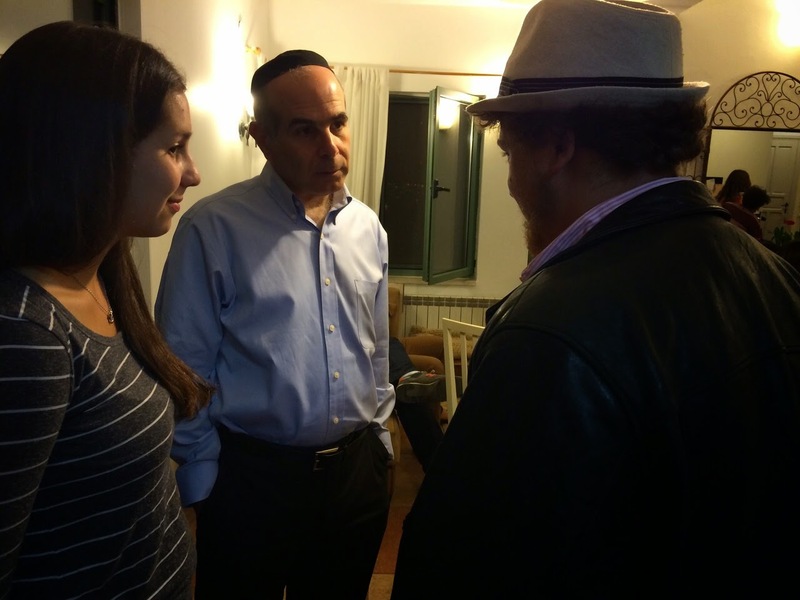 Rabbi Dr. Raymond Harari, Rosh Yeshivah, visits our alumni students studying in Israel for the year! 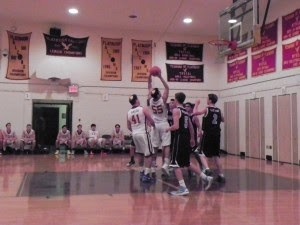 For the second time in two weeks, Yeshivah of Flatbush features prominently on the Court Report. This Sunday's (11/2) Court Report on the Nachum Segal Network brings together a panel of Athletic Directors from the Yeshiva League, and focuses on girls sports in the league. A major aspect of the MYHSAL, coverage of girls sports in the yehiva news outlets is often sparse, and host Elliot Weiselberg looks to bring the relative issues to the forefront. Weiselberg moderates a panel discussion that discusses a variety of issues relative to girls sports and the yeshiva world, ranging from the availability of athletic opportunities for girls in yeshiva competition to facilities issues to coaching, and concluding with a look towards what the future holds for girls athletics. His guests on the show include Flatbush's own second-year Athletic Director, Eric Amkraut, as well as the Athletic Directors from two of the Yeshiva League's all-girls schools, Susan Rifkin of Bruriah, the girls school of JEC based in Elizabeth, NJ and Irene Eisdorfer of the relatively small Shulamith School for GIrls. Through the panel discussion, Weiselberg will look to make headway in effecting change to the present perceptions of the girls' programs and to expanding future coverage of girls's sports in the Yeshiva League. The show will air on nachumsegal.com on Sunday night from 7:00 pm to 8:00 pm, with and will be rebroadcast in its entirety at the same time slot on Tuesday night. To hear the broadcast, go to the website and click on "listen live," or download the NSN app and tune in on your smartphone at the scheduled time.